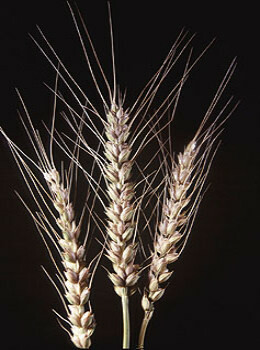 Home|Floral Library|Wheat – Triticum spp. Decorative Life: Months to years as dried specimens. Member of the Poaceae or Gramineae (grass family). Native to West Asia, North Africa. Family members include bamboo, grasses, rice and corn. Stalks up to 24 inches long with seed heads at ends. Any for dried, 34-38F for fresh (green). Normally used dried, not fresh.